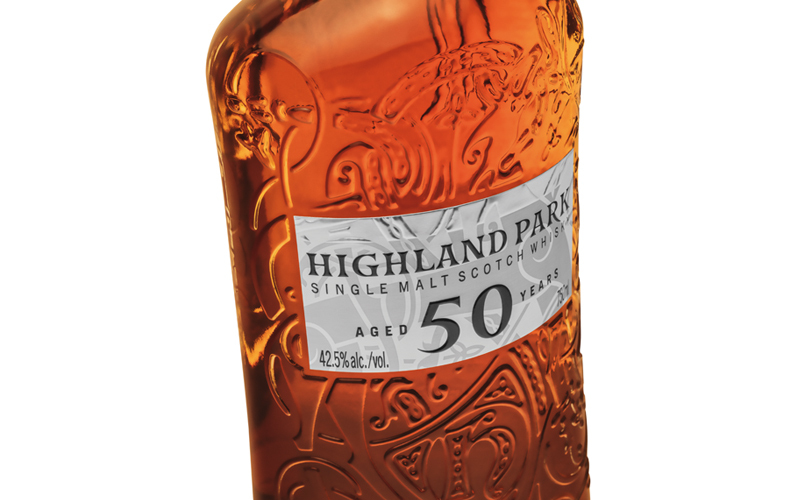 Highland Park 50 Year Old single-malt Scotch whisky is a very limited release of only 274 bottles globally, each one is individually numbered and hand-signed by Highland Park’s longest-serving whisky maker, Max McFarlane. Originally laid down in 1964, when the world was a different place, it’s a whisky that elegantly reveals the poetry of its quiet years in solitude and also the powerful history of Orkney, its island home. Max McFarlane, Highland Park whisky maker, said, “It’s a great honor to be part of this whisky’s journey and to put my name on its label. 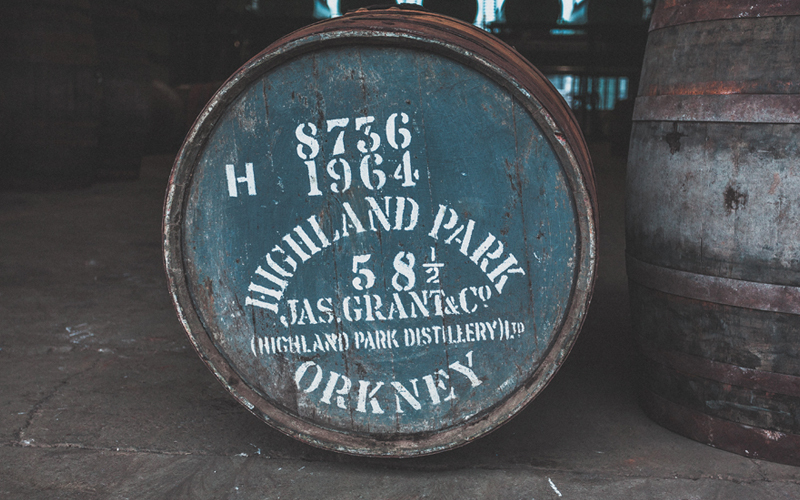 We hand-bottled this Highland Park 50 Year Old from just two sherry-seasoned Spanish hogshead casks laid down in 1964, over half a century ago. We first discovered the casks in 2008, at the very back of warehouse number seven, and we were astonished by their incredible flavor. 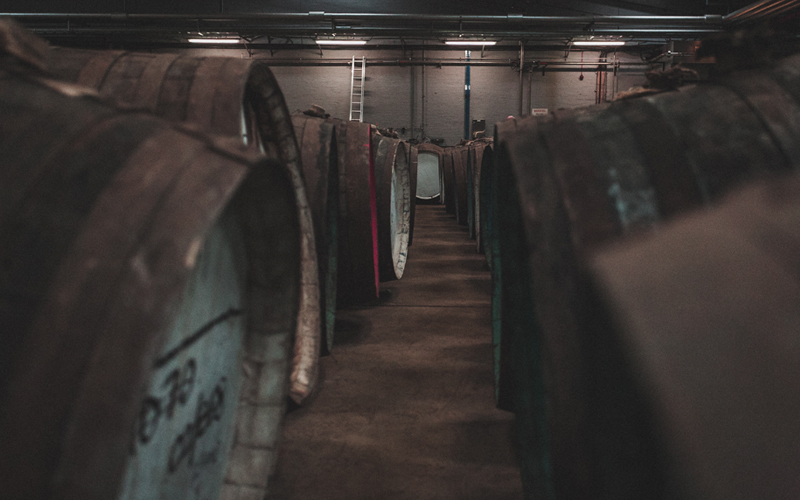 “But bringing two hogsheads of such extremely rare liquid off the island to be ‘married’ at our warehouse in Glasgow was not without its challenges. Justifiably nervous of the whisky’s great rarity, we decided that the two casks simply couldn’t be allowed to travel together. Rather, like members of the Royal Family, each cask made its journey alone, one in September and one in October 2009. Briefly parted after nearly 50 years spent side by side, the two hogsheads were reunited — the whisky ‘married’ — for a further eight years. 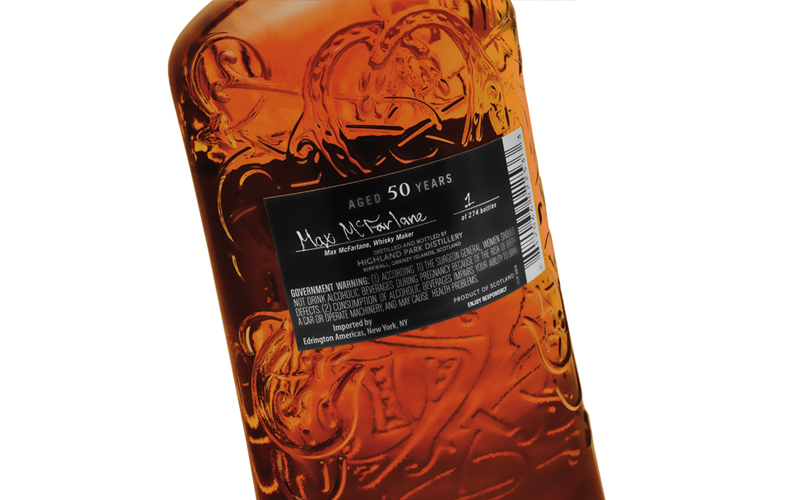 Intensely rich with an ABV of 42.5%, the whisky is clear and bright with a deep natural ruby color. It’s sweet at first, with notes of ripe black cherries and Muscovado sugar giving way to dried autumn fruits and warm, toasted wood. The hint of cedar wraps around Highland Park’s signature light peat smoke, giving way to a lingering finish. 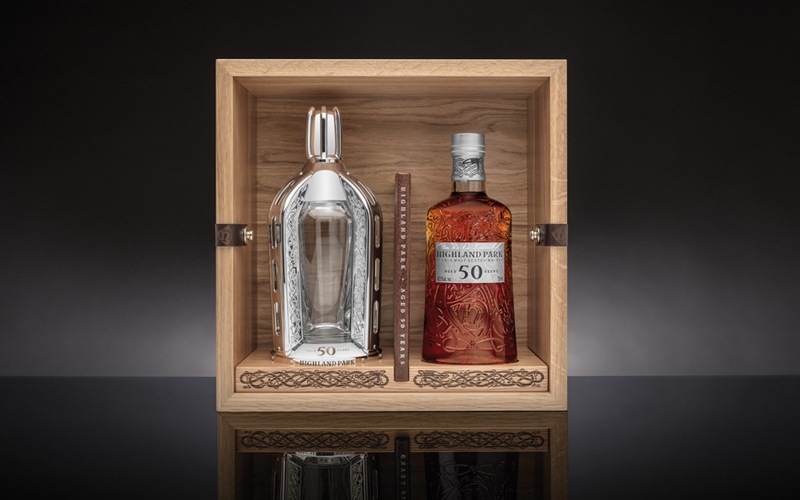 A stunning oak box designed and individually handcrafted and prepared by Scottish master craftsman and designer John Galvin holds a highly polished crystal decanter, the perfect recipient for this elegant single malt, and a brown leather book that provides insight into the development of this exquisite 50 Year Old. 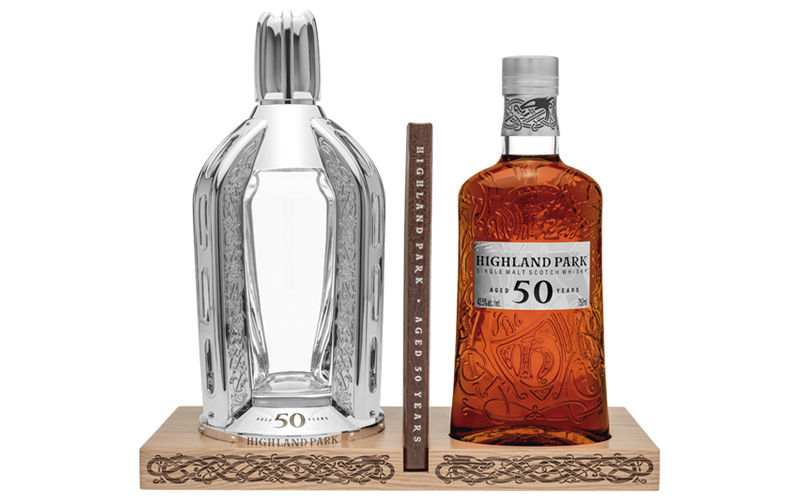 Only 77 bottles of Highland Park 50 Year Old will be available via select spirits retailers this fall at an SRP of $15,000/750 ml. 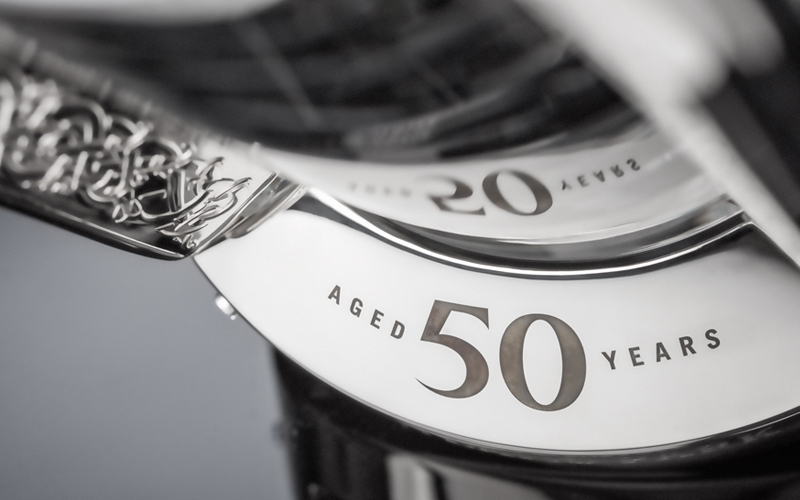 For more information, please visit www.highlandparkwhisky.com. Highland Park is a renowned single-malt Scotch whisky from Orkney, a remote set of islands off the far north coast of Scotland. Established in 1798, the distillery combines the highest standards of craftsmanship with the pride and fierce independence of the early Viking settlers who made Orkney their home over 1,000 years ago to create a perfectly balanced single-malt Scotch whisky that stands apart. 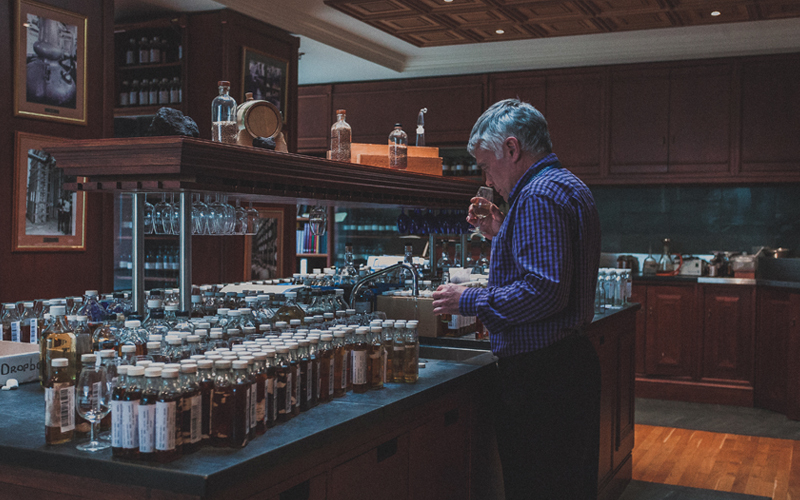 Highland Park’s range of single-malt whiskies is consistently acclaimed by whisky lovers around the globe, with the brand receiving the accolade of “Best Spirit in the World” from industry expert Paul Pacult on three separate occasions.